Public Service Commissioner Tim Echols hosted his third annual Alternative Fueled Vehicle Roadshow in Savannah last Thursday The Roadshow showcases the practical impact of clean, alternative fuels in today’s vehicles. Attendees got a close look at propane, biofuels, natural gas, electric (EV) and compressed natural gas (CNG) vehicles along with answers to questions on cost, safety, maintenance and financing considerations. “This seminar brings together policy makers, businesses and consumers involved with clean energy, and those who actually use this technology each and every day,” said Echols who has owned both a CNG Honda and Toyota Hybrid. “It is my hope that we can get ahead of skyrocketing gas prices and reduce our dependency on OPEC oil.” Echols said high gasoline prices have a chilling effect on economic development. 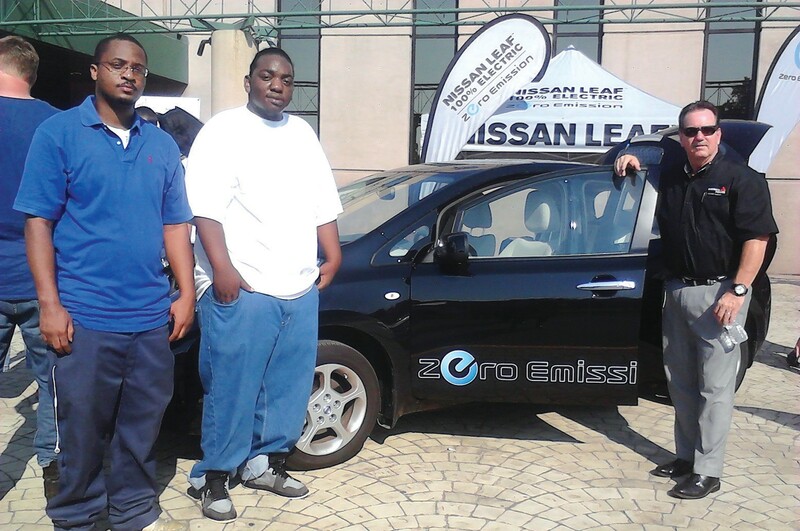 Host site, Savannah Technical College recently purchased the first Alternative Fuel Vehicle in southeast Georgia for the purpose of their Automotive Technology Instruction curriculum: a 2013 Chevy Volt. “The addition of the Volt to our instructional fleet will enable our graduates to receive specialized training that will give them a competitive edge,” says Dr. Kathy Love, Savannah Tech President. The U.S. Department of Labor projects job growth in Automotive Technology of 17 percent in the next decade. Ted Jones of Georgia Power also presented at the Roadshow with their electric car. Georgia Power is committed to providing safe, reliable and economical service through a diversified fuel mix. That mix continues to expand to solar, wind and bio mass.” said Swann Seiler, Corporate Communications of Georgia Power. “ Commissioner Echols’s efforts to draw attention to the benefits of alternative fuel vehicles has significantly increased awareness across the state. Georgia Ports Authority presented at the Roadshow, having recently unveiled its first four electrified rubber-tired gantry cranes (ERTG), making the GPA the first in North America to introduce this cleaner and more efficient method of operation. The new technology reduces fuel consumption by an estimated 95 percent. GPA Director of Engineering Chris Novack said ERTGsare more reliable than diesel-powered versions with less downtime.